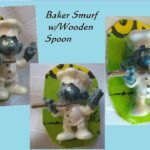 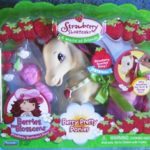 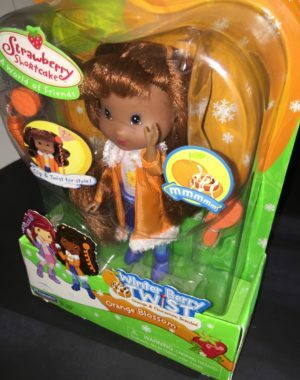 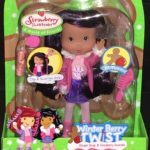 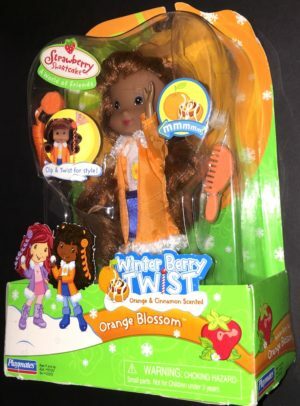 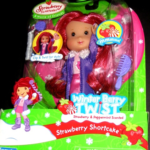 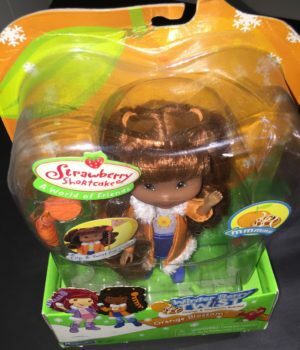 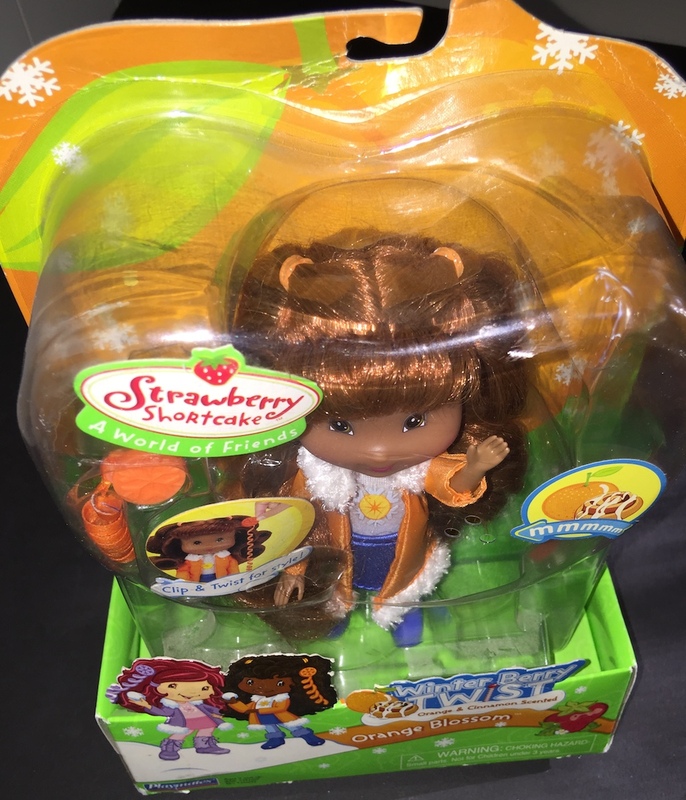 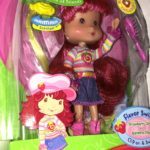 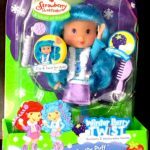 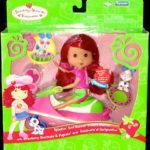 Strawberry Shortcake Orange Blossom Winter Berry Twist doll with orange and cinnamon scent plus accessories. 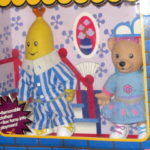 This Winter Berry Twist Orange Blossom doll from Playmates comes dressed in a orange, blue and white outfit. 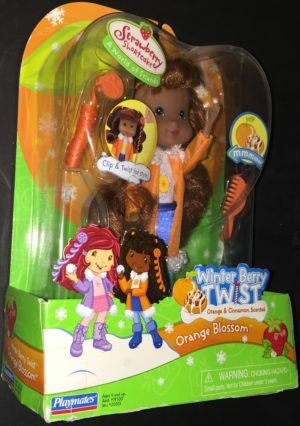 An orange flower blossom logo is on the blouse front and the jacket is trimmed with white fluffy fur-like hem and collar. 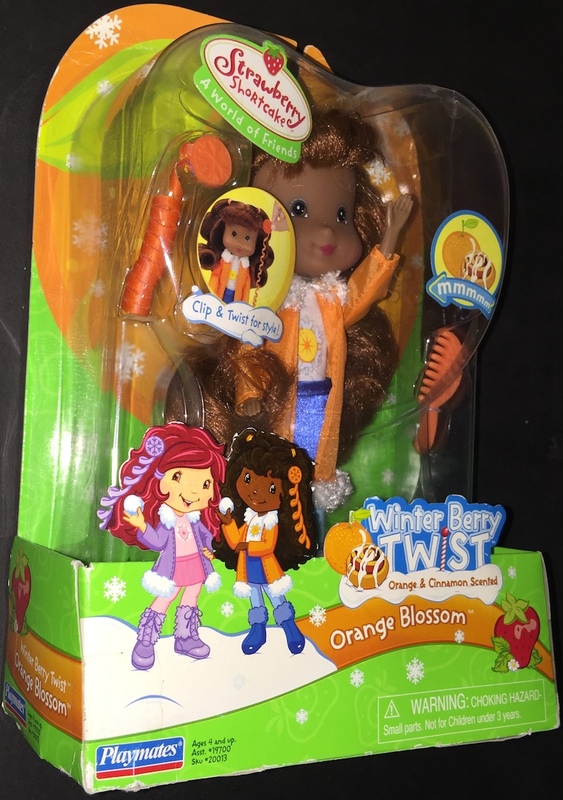 Orange Blossom wears light blue stockings and dark blue boots. 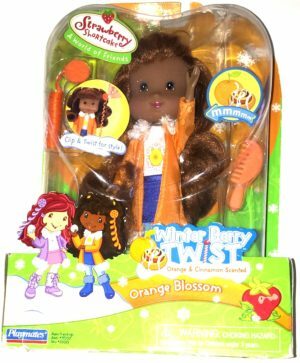 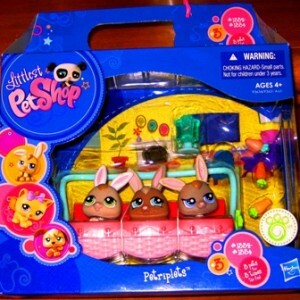 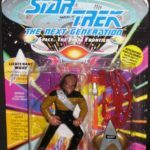 Also in the box is a two-tone dangling hair ribbon that clips onto her beautiful reddish brown locks. 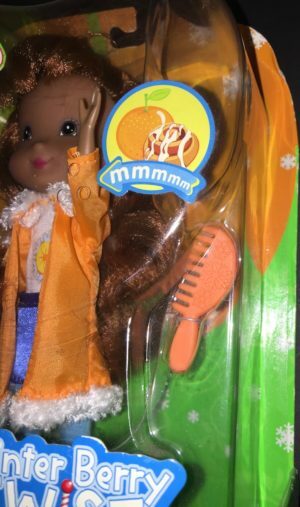 An orange comb is included as well to keep her hair looking smooth and silky. 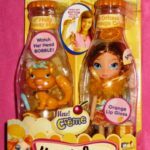 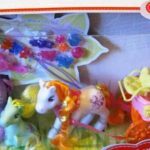 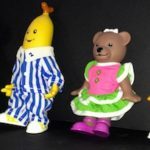 This Orange Blossom doll is from the American Greetings Strawberry Shortcake A World of Friends collection and is one of five dolls in this vintage year 2007 set.